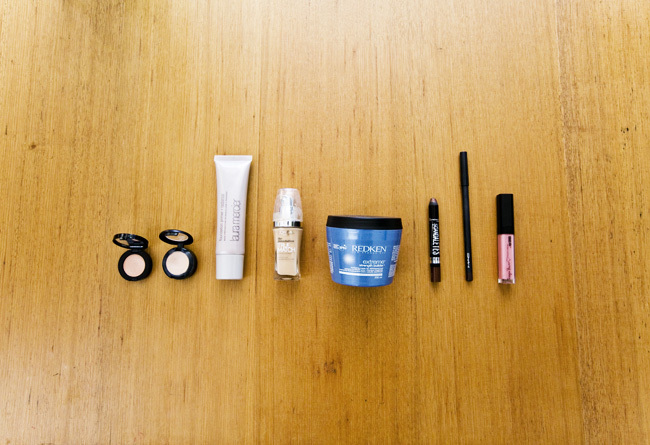 From Left to Right: Bobbi Brown Corrector in 'Bisque', MAC Studio Finish Concealer in 'NW20', Laura Mercier Radiance Primer, Loreal True Match Foundation in 'Golden Beige', Redken Extreme Strength Builder Mask, Rimmel Scandaleyes in 'Bad Girl Bronze', MAC Eye Kohl in 'Teddy', Tanya Burr Lip Gloss in 'Afternoon Tea'. I've been making a real effort this month to not buy anything new, as I'm heading to the US next month and would much rather wait and save up to raid Sephora and the drugstores over there, than to pay the ridiculously escalated prices here in Australia. It's been hard, let me tell you, but I've been pretty good for the most part. My two purchases were Tanya Burr's new lip gloss range which I am really, really impressed with, and a Bobbi Brown Corrector which I paid a whopping $40 for, because I felt bad that the sales girl/makeup artist spent such a long time colour matching me. Totally worth it though, I was struggling covering up my dark circles with just concealer as I felt they just turned an ashy colour, but this warm, peach toned corrector underneath my concealer (MAC Studio Finish, it's been a while my friend) works a dream. My 'hero duo' this month has been the Laura Mercier Radiance Primer and my Loreal True Match Foundation. I cannot even rave enough about these two, they just work wonders for my skin. I can never get over the coverage of the Loreal True Match Foundation, literally every time I apply it I am amazed at how fresh and clean it leaves my base looking, and how much coverage it gives for such a thin consistency foundation. Everyone has said it's a good dupe for the Giorgio Armani Luminous Silk Foundation which I plan on purchasing soon, so I just know I am going to completely love it. My hair has been needing that extra bit of love the past few months since I've started slowly bleaching the bejeesus out of it in an attempt to go blonde (after having a permanent burgundy hair dye in my hair last year, ouch). I use the Fudge Urban Silver Shampoo about once a week, and whilst it's the most moisturising toner I've tried, it still leaves my hair quite dry so the Redken Extreme Strength Building Mask has done an amazing job at restoring moisture (and making my hair smell AMAZING). 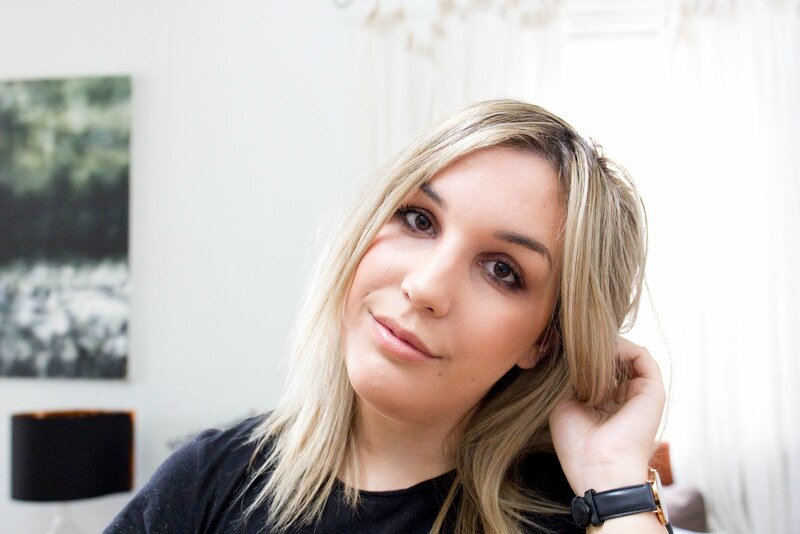 As you've probably recently seen in my recent Everyday Look, I've pulled out my old Rimmel Scandaleyes Shadow Stick which I've until recently, forgotten about. It does such an amazing job for a quick and easy smokey eye, it's easily blended and it lasts for a considerable amount of time considering it's a budget eye-shadow. I love the colour, and it adds just the right amount of shimmer to the eye. I find the look works best when I add the MAC Eye Kohl in 'Teddy' to my tightline and outer corner of my waterline to emphasise the lash line and make it look fuller. I love using a brown eyeliner to add a softer effect to my lashline as opposed to a black pencil which usually does not suit my eye shape. I've already mentioned the Tanya Burr Lip Gloss so many times in my blog, but it truly is a wonderful product, and they smell SO good! I can't wait to pick up a few more colours, I've seriously been popping these on whenever I leave the house for a pretty and soft finish on my lips. I can't believe I'm a lip gloss girl now...I never saw this coming. I like the MAC Studio Finish concealer for blemishes. I find that it's a little too drying to use under the eyes. I've been hearing incredible things about the L'Oreal foundation. I'm addicted to my Revlon foundations, but I should really try something new from the drugstore just for the sake of blogging. I really want to try the Tanya Burr lipglosses! So jealous you're going to the states (and Sephora!) next month!